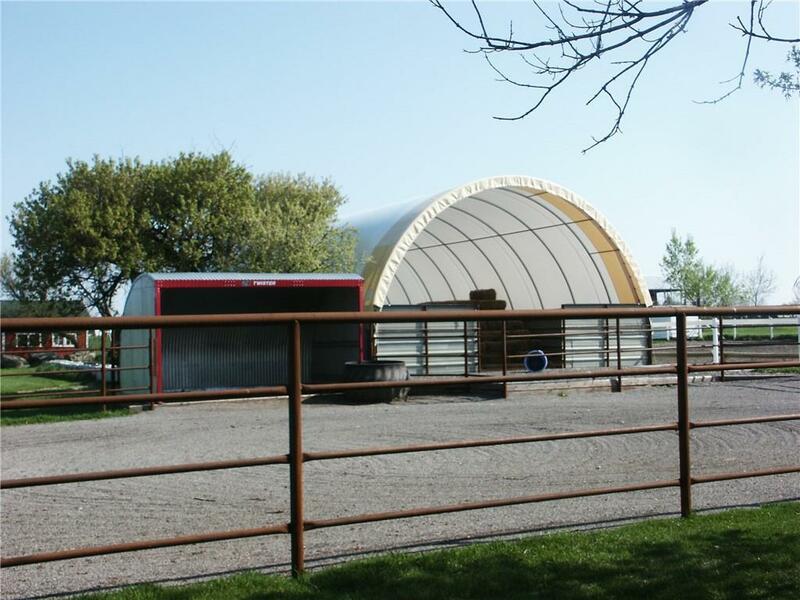 3 heated outer buildings (a shop 50'x26', a barn 40x60' and a quanset 33'x 32', pole bldg. 18'x60', canvas bldg. 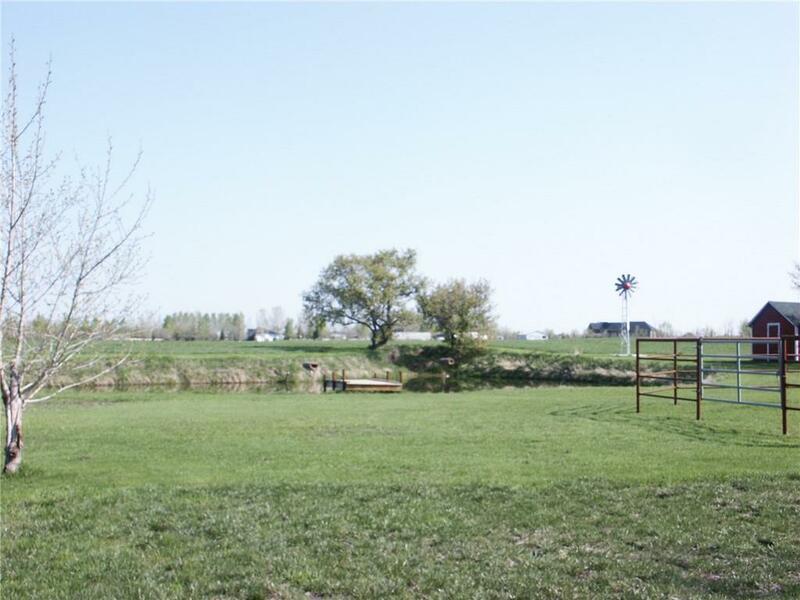 25'x60'), lots of options for equip storage, with panoramic mountain views. Direct access onto highway #2,sub road and 466 Av. Zoned Country Residential, Bungalow home w/two bedrooms, large living room & dining room, the kitchen has been upgraded. A full lower level with laundry & a storage room, also cold room. Location is tremendous for home occupation and a family. Pavement right to the gate. Must book an appointment to view the wonderful buildings. 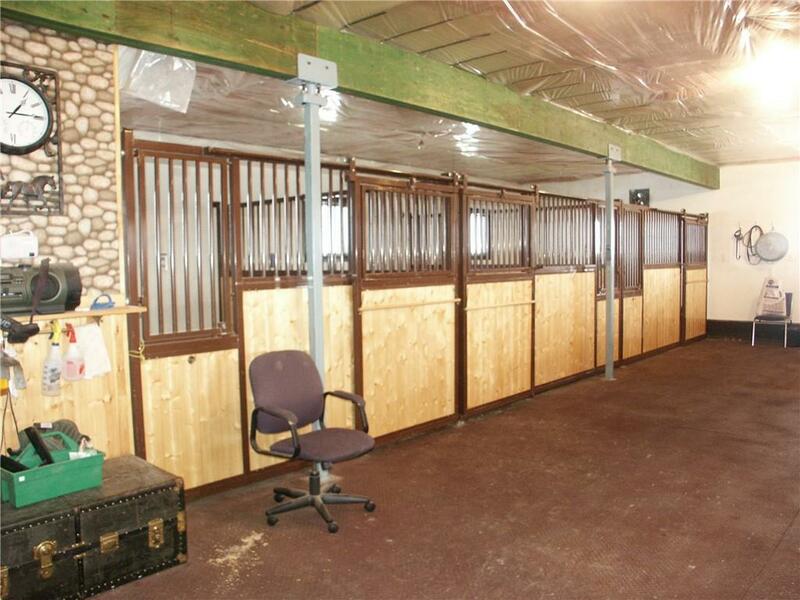 Barn has (8) 12' stalls, a tack area, lockers for horse equipment, cabinetry for snacks & refrigerator, microwave. Shop is heated, insulated w/large sliding doors; quanset has two electric doors, a mezzanine level in part of the building, insulated and in-fla red heat. A small garage for equipment storage w/electric door. Steel stud pen w/shelter,riding arena. 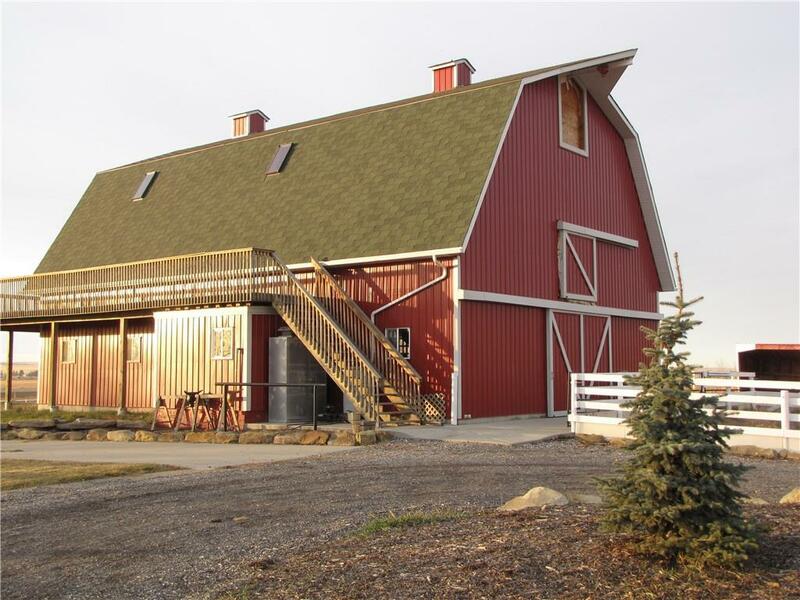 Newer: pressure & hot water tanks, shingles on Barn/home/shop/quanset/stock waters.